Who said that both form and function cannot be accomplished on a tight budget? 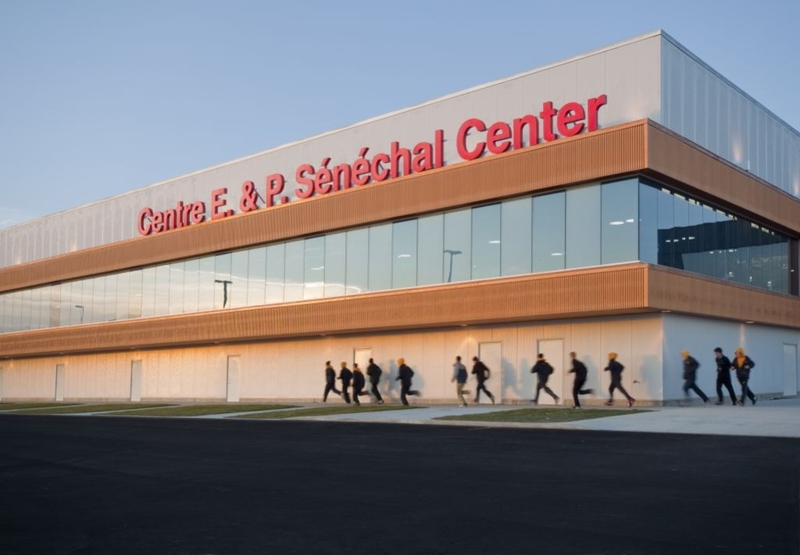 The Centre E&P Senechal Center in Grand Falls, New Brunswick, achieved exactly that. 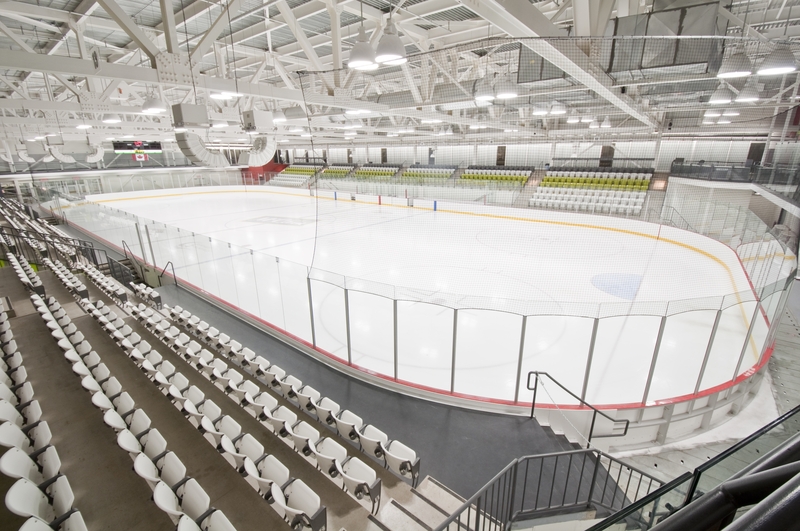 The vision to replace an existing arena was not only to build a multifunctional infrastructure but also to boost the socio-economic development of this small community bordering Maine, U.S.A; “We did not want to replace an arena by an arena, but rather we wanted to have a building that could be used by all ages,” says Dr. Paul Castonguay, the head of the building committee. They wanted to build a twin ice arena for $8 million but after a few years into the project, it quickly became apparent that this would not be possible. Instead, they chose to build to today’s quality standards and incorporated one ice rink, a walking track, a convention center and an exercise gym.” The challenge was to find a balance between form, function and budget. There is a resurgence in acknowledgment that daylighting is a critical component of architecture. Contemporary architecture embraces the use of glass both for its aesthetics and its promise of views and daylighting. 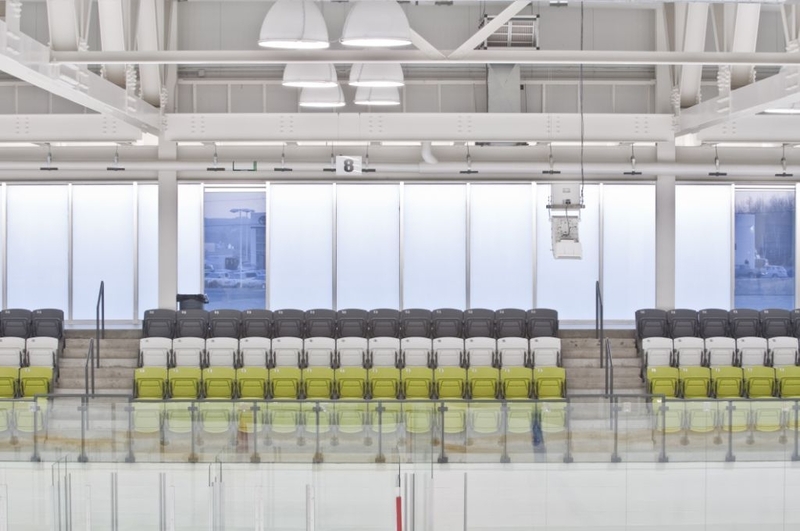 According to Monica Adair, they wanted to create a daylighted space where the people indoors could “be connected to the outdoors while playing sports” but this can be quite a challenge when housing an ice rink. While windows can provide views; they often introduce daylighting challenges such as poor light distribution, solar heat gain and glare. To make matters worse, in the context of an ice arena the direct sunbeams could lead to melting ice and discomfort to occupants. There are many daylighting techniques out there but they do not all address the thermal envelope of the building and they are not always appropriate for the design. The next step was to find a balance between views and daylighting and to make a decision between how much view they wanted and how much daylighting they needed. To have a beautiful building that functions well can be very expensive but Solera is affordable and there can be no better value in terms of aesthetics and performance. Murdock & Boyd were motivated by Advanced Glazings’ complimentary daylighting analysis. The radiance study and simulations identified the potential pitfalls of using clear glass. It also assisted in fine tuning the appropriate visual light transmittance so that the space had optimal balance between light and diffusion. “Advanced Glazings proved to be more than just a product manufacturer but also a daylighting design partner. All we had to do was define our daylighting goals and submit our existing drawings to them. They provided us with a daylighting study and recommendations. Instead of simply providing numeric light readings, the radiance study allowed us to visually appreciate the effects of Solera on light distribution in some of our spaces,” says Monica. Clear Glass – March 21st at 12:00p.m. Solera – March 21st at 12:00p.m.